Sa unang bahagi ng isinulat ng dating consultant ni dating Presidente Ramos ay ipinahayag niya na halos nangyayari o nagkakatotoo ang mga isinulat niya bago pa man maging President si Duterte. Ayon kay Alejandrino, tila naisasakatuparang ng mga taga opposition ang kanilang plano sa pamahalaan na iupo ang kanilang manok sa politika, makulong si De Lima at hayaan na si Duterte maging Pangulo dahil sa lakas ng hatak nito sa masa lalo na sa social media. 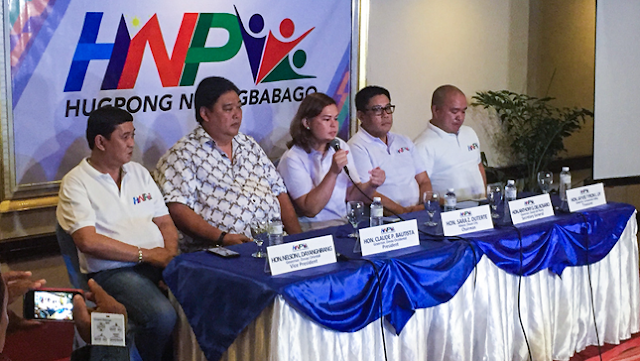 Sinabi din niya na sang-ayon siya sa sinusulong na political party ni Davao Mayor Sara Duterte para malayo na ang sentro ng partido sa PDP na kung saan hindi mo maalaman ang mga politiko na totoo, dahil sa paglipat-lipat kada election. Kaya mas mainam na nga daw na meron Hugpong ng Pagbabago (HNP) na kung saan ang political party na ito ay para sa mga solid na Duterte supporters lamang at hindi mga balat-kayo. Sa ikalawang bahagi ng isinulat ni Alejandrino, ayon sa kanya dahil sa inilantad ni Glenn Chong ang ukol sa possibleng dayaan noong nakaraang eleksyon ang mga Liberal ay tila nanga-ngamba dito, sa kadahilanan na maari itong maka-apekto kay Leni Robredo. Dagdag pa ni Alejandrino, na may nakakita din daw na nag silid ng isang maliit na papel ang lawyer ni Robredo sa araw ng hearing sa kamay ni Drilon, kasunod nito ang pagtanong ni Drilon kay Chong kung ano ang relasyon nila ni Bong-Bong Marcos. Ngunit nilinaw naman ni Chong na wala siyang kahit na anong relasyon kay Marcos. Paliwanag pa niya na dahil alam na alam ng mga Liberal na maging ang Estados Unidos ay kumakampi kay Duterte, sila ay tila nangangarap na sana kapag natapos ang termino ni Trump yung mga tinuturing na kakampi naman ng Liberal ang makaupo sa puwesto tulad nalang ni Loida Lewis na backer di umano ni Robredo. Sumakatuwid, kapag nangyari ito at mapapayag ng Liberal ang mga Amerikano na tumulong sa kanila maari na nilang mapatalsik si Duterte at harangin si Inday Sara na posibleng tumakbo sa pagkapresidente. After the May 2016 elections which I said were fraudulent, I wrote about the LP gameplan. I said it would aim at destabilizing Duterte in the hope of toppling and replacing him with Robredo. I said it would use the Senate platform to conduct hearings like De Lima's committee to gain foreign attention. I said it would try to destroy the DDS, Duterte's main shield, to capture social media. I said it would continue to obstruct change to buy time until Duterte's term is over. All that I had predicted would happen did happen. I also offered two solutions. One was for Duterte to have achievements to increase and sustain his popularity. The other was for the people to give him rev powers. Again, I was right. The Opposition was marginalized. Many liberals switched to the PDP-Laban to control it. That is why I supported Inday Sara's decision to organize a separate political party which I had broached to her chief of staff Atty. Jayr Nadela when we had breakfast in Davao. I also posted this would give the president an option in order to avoid having to rely solely on the PDP. The HNP was needed as a mass base of the people to consolidate Duterte's supporters. I said the president could not rely on politicians who blow where the wind blows but on the people. It is also why I advised Inday Sara on my timeline to be wary of bringing tradpols into the HNP. Making tactical alliances with them was alright but the HNP had to be organized differently because people were tired of tradpols who only looked after their own interest. Organized and strategized properly, I said, HNP would be her ticket to winning the presidency. I now see the Opposition moving to the next phase of its gameplan. Here is how I see its Phase II. The liberals are obviously upset by Glenn Chong's expose at the Senate hearing of how massive cheating was conducted at the May 2016 elections. So were Comelec and Smartmatic officials. Thus during the hearing, Robredo's lawyer was seen slipping a piece of paper into Drilon's hands. Drilon asked Chong what was his relationship to BBM. Chong denied any relationship. Mainstream media downplayed Chong's expose and Rappler has again come out about Chong and Marcos. Imagine a national issue like electoral fraud which concerns all voters being downplayed. Not surprising, Chong said, because of so many paid hacks in media without naming them. 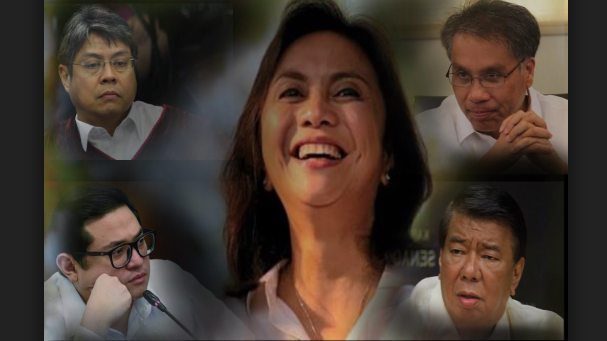 The Chong expose of electoral fraud naturally worries the LP because it affects their mother hen Robredo. The liberals are aware Trump supports Duterte. They are hoping when Trump's term ends in 2021 the Democrats, the traditional allies of liberals, will regain the White House. 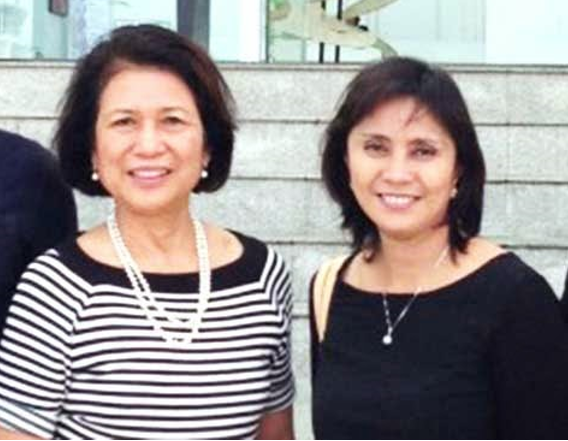 Loida Lewis, the main backer of Robredo, is a major financial contributor to the Democratic Party. With the Democrats back in power, the LP hopes the Americans will help quietly to topple Duterte and thwart Inday Sara's chances of winning the presidency. This is why the LP needs badly to keep Robredo's flame alive as VP, a flame that risks being extinguished by the Chong expose of massive electoral fraud. Thus the need to slander and destroy the credibility of Glenn Chong. The LP also needs to keep the structure they put in place intact. The Comelec full of liberal appointees is anti-BBM. LP hackers remain on standby. Smartmatic is fully behind the present Comelec. Malloch Brown was a former Cory adviser and a friend of Noynoy. Any move by Duterte to clean Comelec would not be beneficial to the LP. It is in this light that we have to view Bam Aquino's public pronouncement he hopes the 2019 mid-term elections will be "clean and credible." It was really meant as a firing shot at Duterte to warn him not to mess with Comelec. If Duterte cleans Comelec and appoints new officials, and if LP candidates lose in 2019, what Bam is really saying is Duterte's new Comelec cheated them. Phase II of the Opposition gameplan will be a last-ditch attempt to ditch Duterte. It rests on one assumption, that of Democrats in US recapturing the White House. Should, God forbid, this happen, then we are in a different ballgame. This is why I urge Inday's HNP to get its act together and consolidate its mass base. The balimbings will switch back to the LP. At the end of the day, Duterte will only be able to count on the people."